The average company uses more than 50 security vendors. Firewalls, Web proxies, SIEM, Appliances & Third-party intelligence. The list goes on — and sometimes you still find your stack coming up short when it comes to securing users anywhere they access the internet. 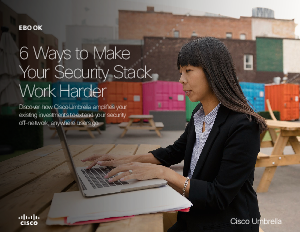 Strengthening your security stack doesn’t mean a massive overhaul or a loss of customization and control.